Pratap Chatterjee did not break the Edward Snowden story, or any of the previous and subsequent Wikileaks document dumps. But he was really close to them, and he had some really shocking sales pamphlets from drone manufacturers that his editor kept pooh-poohing, and so maybe he could have been more at the center of one of those stories if things had gone a little differently. That's how he tells it, at least. Verax has a subtitle of "The True History of Whistleblowers, Drone Warfare, and Mass Surveillance," but it's actually a lot more personal than that. 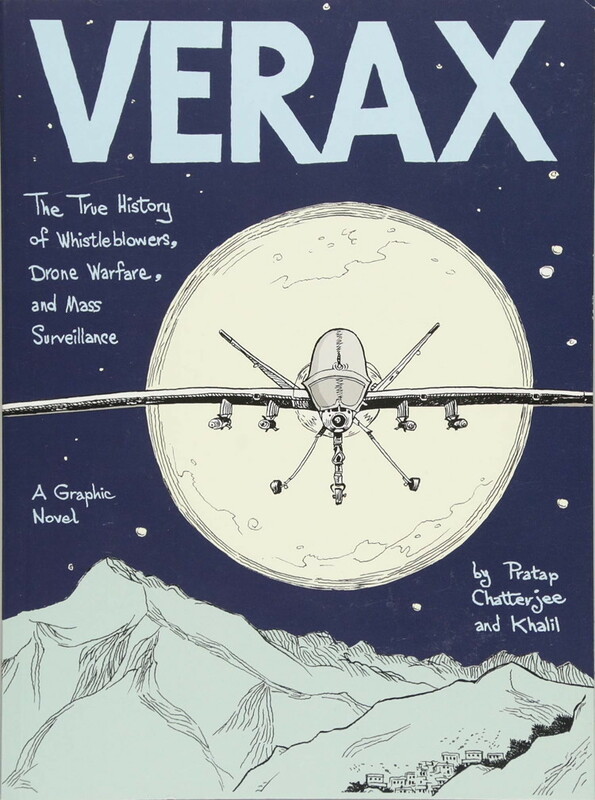 It's really the story, in comics form, of how Chatterjee, who in 2011 was writing for something called the Bureau of Investigative Journalism , circled those big stories and what he learned about drones and surveillance over the next few years. Along the way, he does talk about how the drones work, and tells the stories of several operators-turned-whistleblowers (who meet the usual fate of whistleblowers: losing their old position and friends and life, sometimes going to jail, seeing nothing much change) and repeatedly points out that US drones have killed a lot of people over the past decade or so. Now, if those people were all terrorists, I don't think most Americans would mind. (Frankly, a lot of Americans wouldn't mind as long as those people were all brown-skinned, which they were.) But drones and their operators aren't all that great at finding and killing the right people, let alone avoiding additional casualties. In fact, they're basically weapons of terror -- random, highly destructive, very visible, and used for political ends. Since it's a government using them, though, even Chatterjee never actually makes that parallel. It's a very talky book, mostly told in conversations Chatterjee had with Julian Assange and Glenn Greenwald and his collaborator Khalil and many other journalists and those whistleblowers and even, occasionally, in direct address to the reader. If it were prose, it would feel like name-dropping -- and it does, a bit, even here. Chatterjee is the main character throughout: Verax is all about what he knew and when he learned it, and how he can explain it for us. This is another one of those graphic novels, like Sarah Glidden's Rolling Blackouts, that came out too late for its moment. They're both delayed late-Obama books, full of serious looks at thorny problems and much concern about how major democracies, under supposedly progressive leaders, can do horrible (badly thought-out, clearly going to lead to bad ends, indiscriminate, horribly expensive) things. So, yes: our drone program is stupid and counterproductive and massively expensive. It's part of a military complex that has been tending to erode civil liberties at home and damage US standing and the idea of democracy worldwide. But the question of killing people randomly overseas has become a massively lower priority in the last two years, unfortunately. 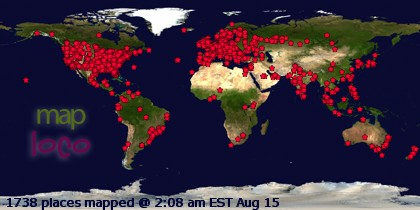 Maybe we can worry about this again before too long. Maybe we can move back down this horrible path the USA has flung itself down since 9/11. Or maybe not. And, frankly, this book is not terribly well organized to make its points. Chatterjee will look to a lot of Americans like the epitome of a global elitist, jet-setting around to tsk-tsk about various things that they don't really care about. The title is dull and distancing, and the book is structured in a serious, stolid way rather than ever trying to grab the audience's attention. This is a long, in-depth NPR segment of a book -- those who are already convinced will love it, and no one else will even notice it. To me, this sounds like the name of an astroturf "independent" news source in a totalitarian country, but it seems to be a real thing.